The Evolis Badgy 200 ID Card Printer is an economical and easy-to-use printer for low print volumes. It has a 25-count card feeder and prints on single-sided PVC and adhesive cards. The Badgy 200 is a reliable option for the entry-level market. This product is outsourced, therefore it is not available for same day shipping. Questions? 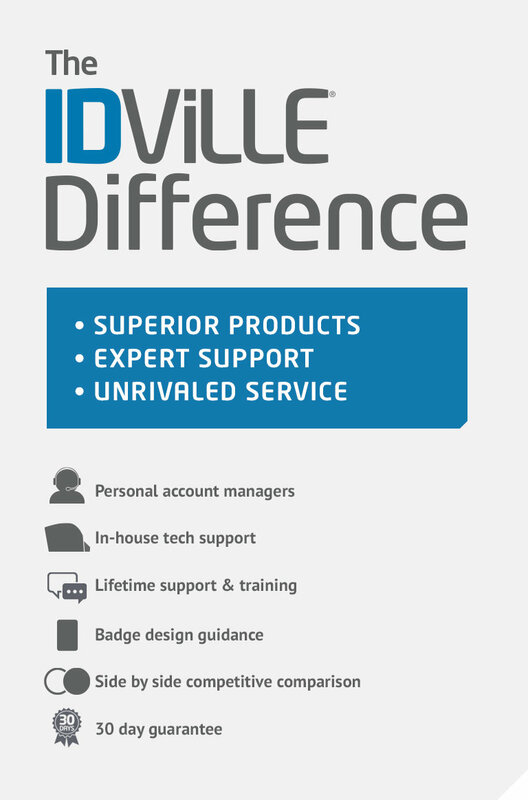 Talk to a Printer Specialist now via email service@idville.com or call 1.866.438.4553. Includes a one-year warranty with an extended warranty option.